Community Research’s second webinar showcased how a virtuous circle is created when evaluation is built into programme delivery. The focus was on insights gained from the Māori and Pacific Education Initiative being led by the ASB Community Trust. The session was hosted jointly with the Families Commission/ Social Policy Research and Evaluation Unit (SuPERU). The presenters addressed how evidence is turned into action within the Māori and Pacific Initiative, the layers of evaluation (including value for money), sourcing evidence and structuring this with Maori and Pacific groups in mind. Rise UP have worked hard to value and embed strong evaluation practises in their organisation. This capacity building support from Kinnect Group has enabled them to ‘know and show’ outcomes effectively and develop successful sustainability plans. In 2004 Jennifer became CEO of ASB Community Trust after 10 years as Executive Director of Fulbright NZ. Her career in philanthropy began in 1985 when Sir Roy McKenzie appointed her as the Executive Officer of his personal foundation, the Roy McKenzie Foundation. She has been a Trustee and Chair of the J R McKenzie Trust and is currently a Trustee of two family grant making trusts. She was a founding member of the board of the Wellington Regional Community Foundation, the Funding Information Service and Philanthropy NZ. Jenny recently retired from the board of Philanthropy New Zealand after twenty years’ service. Recently Jenny has been a member of the Asia Pacific Philanthropy Consortium as well a participant in international meetings on current issues in philanthropy hosted by the Rockefeller and Volkswagen Foundations. Jenny has contributed to the growing literature on philanthropy in Australasia and is frequently asked to speak on philanthropy. Kate McKegg is Pakeha, descended from Irish, Scottish and English ancestors. She lives in Hamilton, New Zealand with her husband Richard and youngest son Patrick. 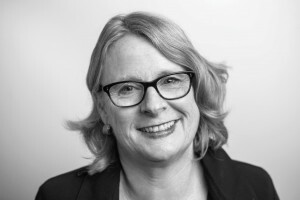 Kate has worked in the fields of evaluation, evaluation capacity building, research, policy and public sector management since the late 1980s. In 2002 she started The Knowledge Institute Ltd, after a decade of working in policy and evaluation in the government sector. Since 2007, the Knowledge Institute has been a member of the Kinnect Group, which combines the strengths of four experienced evaluators. Kate has specialist skills in developmental evaluation, strategy, policy, and programme evaluation, evaluation capacity building, research, evaluation training and facilitation. She has worked alongside and with government, non-government, philanthropic and community organisations on a diverse range of projects and initiatives across many different sectors. 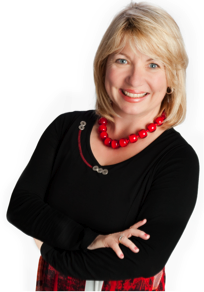 Kate is a founding member, and the current Convenor of the Aotearoa New Zealand Evaluation Association (ANZEA). She has a deep and long lasting commitment to the development of the evaluation field and profession because she believes that evaluation, and evaluative thinking and practice can contribute to the betterment of our society. 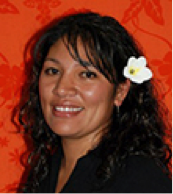 Sita Selupe is of Tongan and Niuean descent, married with four children in Weymouth, South Auckland. Sita is a Primary trained teacher, CEO and Co-founder of The Rise UP Trust established in 2006 as a Saturday morning home school. In 2009 Rise UP Trust were recipients of the ASBCT Maori Pacific Education initiative gaining a five year grant to improve education achievement for Maori and Pacific with the ‘Building Learning Communities’ project. Rise UP Trust have worked with over 200 whanau across South Auckland to set their children up for success in learning. In 2013 Rise UP Trust were selected to open the first Primary Partnership School (Kura Hauroa) in New Zealand. The Rise UP Academy was established on 7 February 2014 in Mangere East to provide world class education for those learners who have not been served well. Sita has expertise in non-profit management including evaluation, project management, innovation, change management, sustainability, community collaboration and volunteer management. Her teaching experience as an Inquiry Learning specialist has accelerated learning for all her students.